I’ve just had a bulk delivery of my new books – it’s lovely to see a big pile of them after all this time in the making. ‘This Rabbit, That Rabbit’ will be published on 7th November by Walker Books. 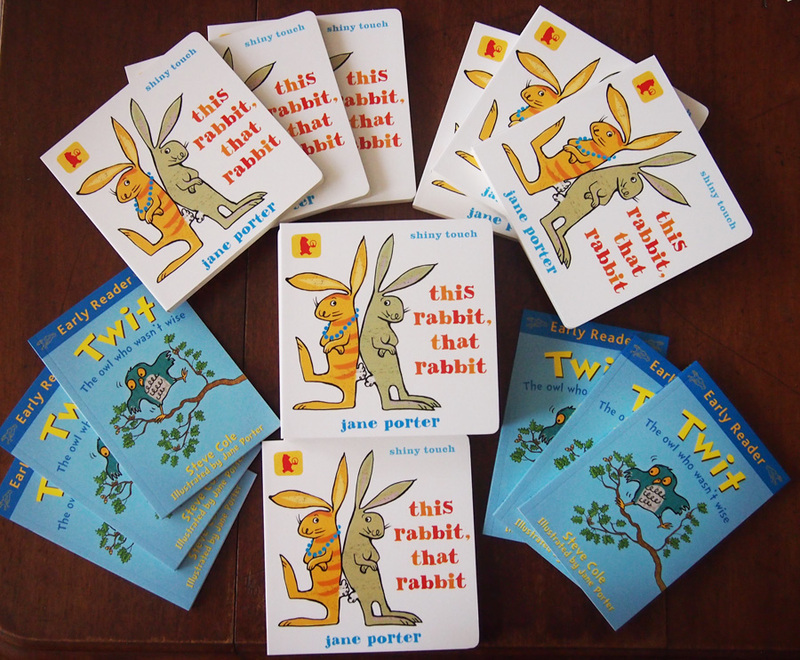 I’m having a little launch-style activity morning to celebrate at the Under The Greenwood Tree Bookshop in Clapham from 10-11 – rabbit-themed craft activities for under 5s, so do drop in if you are nearby. Meanwhile Twit, the Orion early reader by Steve Cole, is out now and there is currently a crafty competition happening – Knit Twit! Details are on the Orion Facebook page, and you have until the end of October to make your own little blue owl. Good luck! This entry was posted in animals, Books, Illustration on October 18, 2013 by Jane Porter.